Tired of the same old music playing as your group comes in or hearing the same stuff on the radio!? Are you student trying to discover something fresh, fun and Christian in music, but it all seems lame or rather dull? 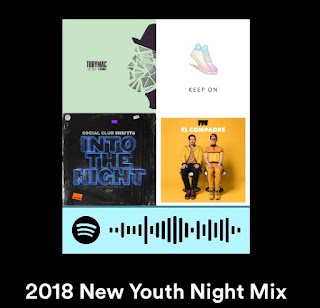 Here is a growing, regularly updated playlist that I have created for my 5th-8th groups to listen to on our meeting nights and to listen to throughout the week. Currently about 120+ songs and over 7 hours of music! Including some of the usual favorites: Toby Mac, FF5, Social Club Misfits, LaCrae, & Jordan Feliz! Maybe some newer less known ones... GAWVI, We Are Leo, Marshall Marshall, Tree Giants and my group’s new favorite- Swoope!